During our skialpinism and snb trip to Iran (Skialpinism and snowboarding in Iran in April 2010 – list or results) we started in the area of Tochal (Trekking aclimatization to Tochal during skialpinism and snowboarding trip to Iran in April 2010) and followed to the area of the second highest Iranian peak Alam Kooh (4850 m). We were the first foreigners in 2010 there. Trip was supported by KAMA and Tilak. 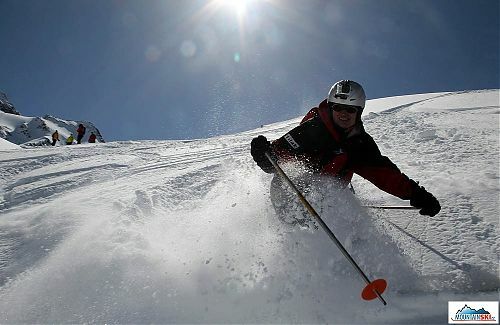 First two days in Iran (Skialpinism and snowboarding in Iran in April 2010 – list or results) we spent with acclimatisation at Tochal (3982 m). We got little below Square of Mountaineers and we started walking from the altitude approximately 1650 m. We walked through the narrow river valley surrounded by many restaurants, as this is the party area of Teheran. It is hard to imagine, how it looks here during flood. Trip was supported by KAMA and Tilak. We returned from Iran on Monday morning, April 26, 2010. We spent marvelous two weeks with skis and snowboards in Iranian mountains and historical cities as Esfahan and Kashan. Original plans were adapted to not ideal weather. We skied from several 4000 meter high peaks, and Žrout, Martin and Mišo snowboarder climbed to the summit of Damavand (5671 m). 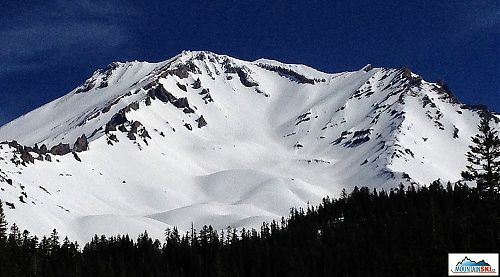 Followingly they skied and snowboarded down from about 5470 meters. We had a short swimming break in Caspian sea. We also founded out that several glaciers living in 2004 are gone (Iran skiing 2004). Sulfuric hot springs were excellent too. In my point of view, whole trip was nice, but participants would have different opinion. The trip was supported by KAMA and Tilak. 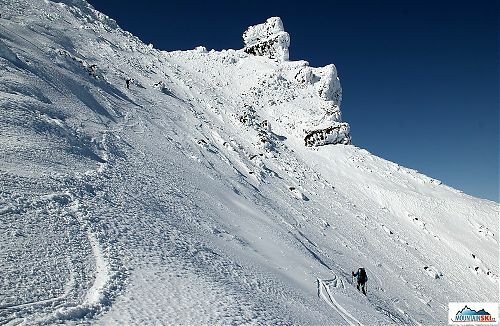 During trip Skialpinism at Kamchatka 2009 – list of articles, photos and results we also had skied down volcano Viljuchinskij (2173 m). At its bottom we slept two days in tents. There was windy weather described by Matus as: „nicely fresh wind blowing with speed higher than pleasant“. So, we started to dig consume hole, which insulate eating people from strong wind. During skialpinism trip Skialpinism at Kamchatka 2009 – list of articles, photos and results we have not summited only Sopka Ostraja (1233 m), where we have not reached summit due to fog and wind. Instead of Ostraja we did two downhills from altitudes 890 and 840 meters. 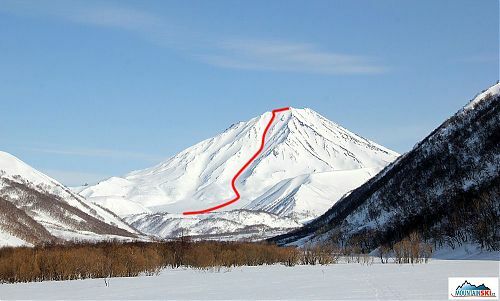 Trip to Kamchatka was supported by KAMA, Voda hory, Tilak, Quill-outdoor, www.lacnyskialp.sk and Baston.